Superstar Rajinikanth is fresh from the success of Petta, that released for the Pongal weekend. The film was directed by Karthik Subbaraj and produced by Kalanithi Maran under the banner Sun Pictures. 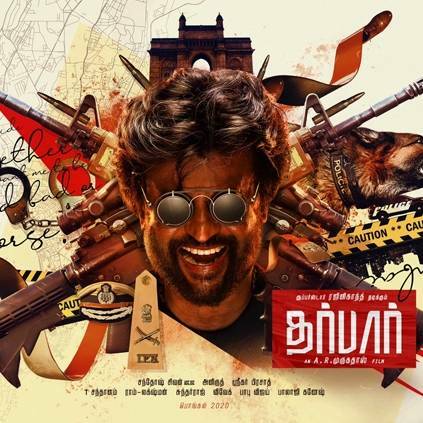 Apart from the Superstar, it had Vijay Sethupathi, Nawazuddin Siddiqui, Simran, Trisha, Bobby Simha, Megha Akash, Malavika Mohanan, Sananth and others playing crucial roles. It was announced that he will be working with AR Murugadoss for his next film, which will be bankrolled by Subaskaran under the banner Lyca Productions. This film was tentatively titled as 'Thalaivar 167' will have Nayanthara as the female lead. Anirudh joins hands with Thalaivar once again after Petta, while Santosh Sivan will be cranking the camera. It must be noted that the esteemed production house is bankrolling a second Rajinikanth film after Shankar's magnum opus 2.0, while they are also reuniting with AR Murugadoss after Vijay starrer Kaththi that came out in 2014. The shoot of this film will begin tomorrow, April 10. People looking for online information on Anirudh Ravichander, AR Murugadoss, Lyca Productions, Nayanthara, Rajinikanth, Santosh Sivan, Thalaivar 167 will find this news story useful.